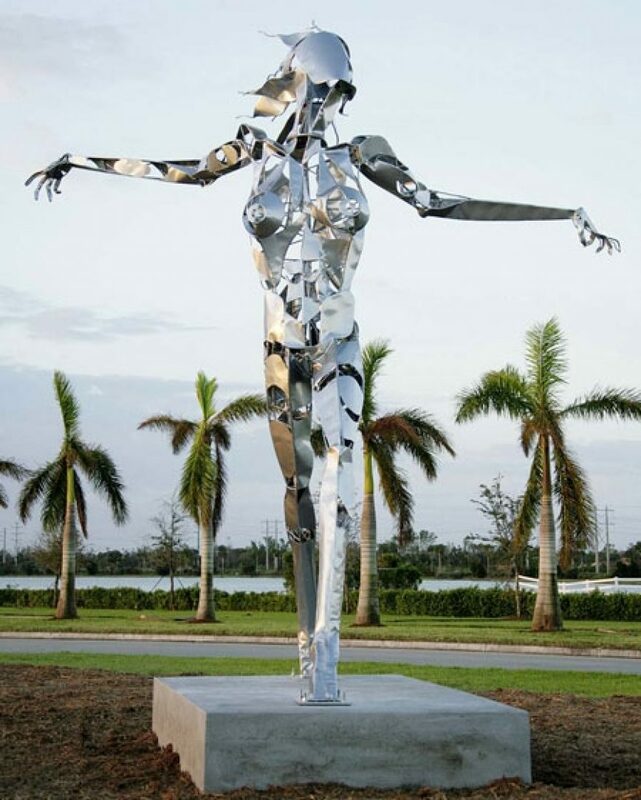 The Muse was created by Jack Howard-Potter and was part of the Cultural Trust of Palm Beach's Sculpture Biennale at the Cultural Art Campus. 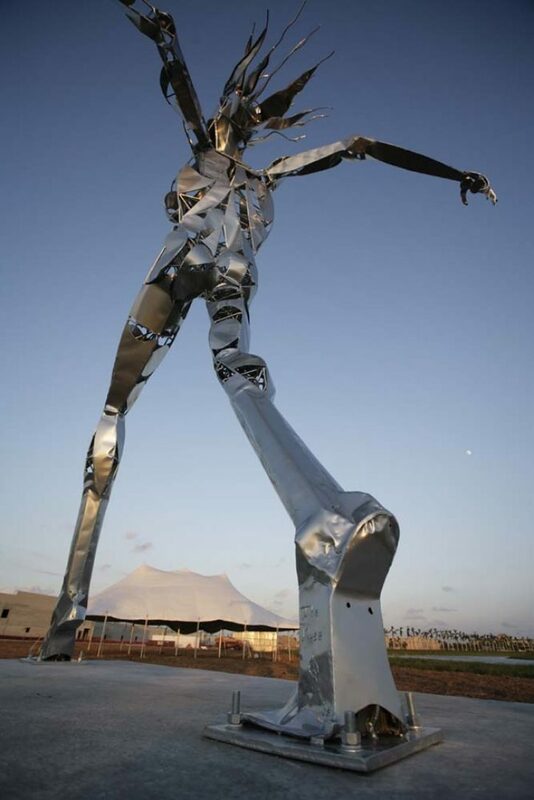 The campus was a highly trafficked tourist area along the coast in Florida, and the 25-foot tall sculpture has been seen by many critics, artists, and tourists. 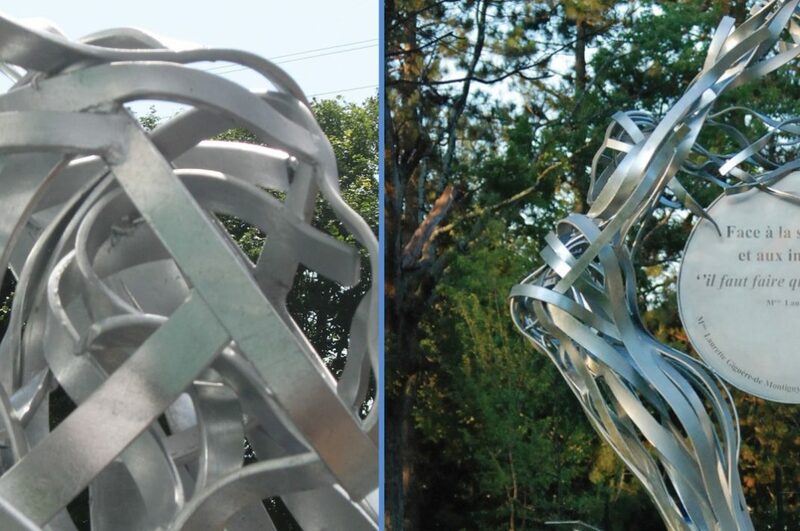 The sculpture is now located at the Southern Vermont Arts Center. 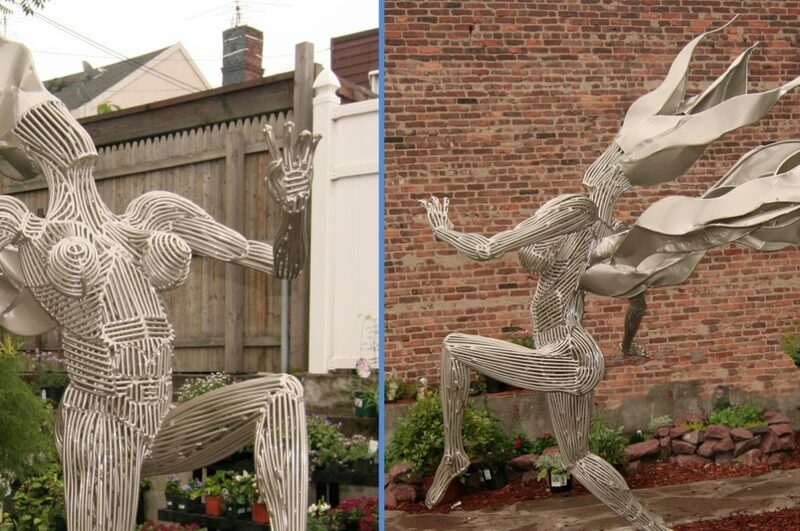 The artist has gained recognition as a metal sculptor, and experiments with many different finishes on his work. 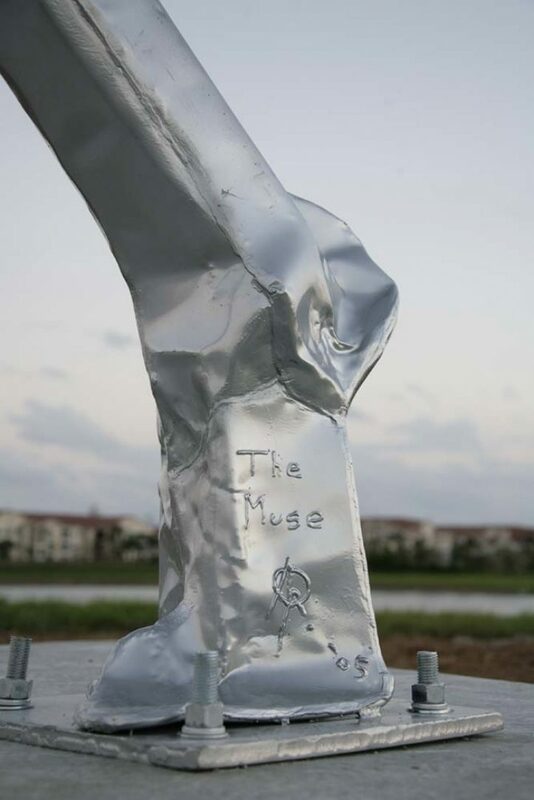 For the Muse, galvanizing was the logical choice because it was more economical than a 3-coat paint system and the durable coating could better withstand the salty ocean air of the Florida coast. 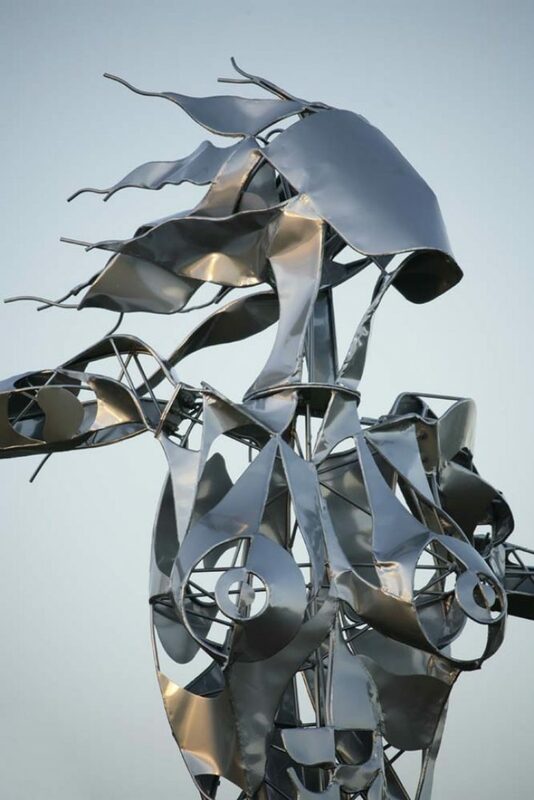 "The duplex coating will provide the sculpture a long life free from corrosion..."
The entire 1,615-pound sculpture was hot-dip galvanized and then powder coated with a silver finish to extend its service life. 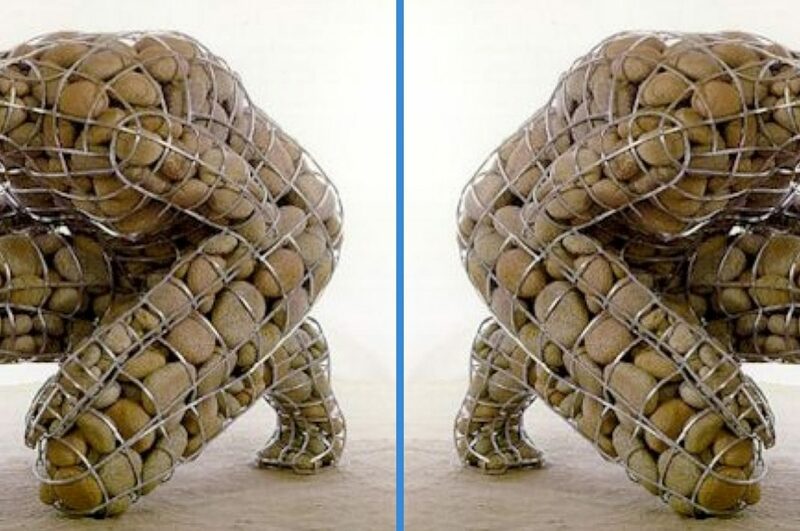 The duplex coating will provide the sculpture a long life free from corrosion and maintenance in the harsh coastal environment. 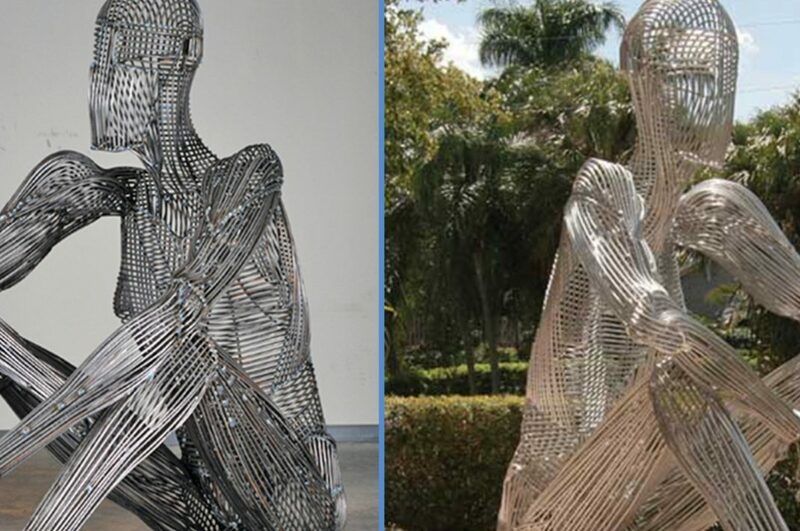 The initial cost of galvanizing and powder coating was less than a paint system, and will protect the artwork for up to 2.5 times longer than either system alone. 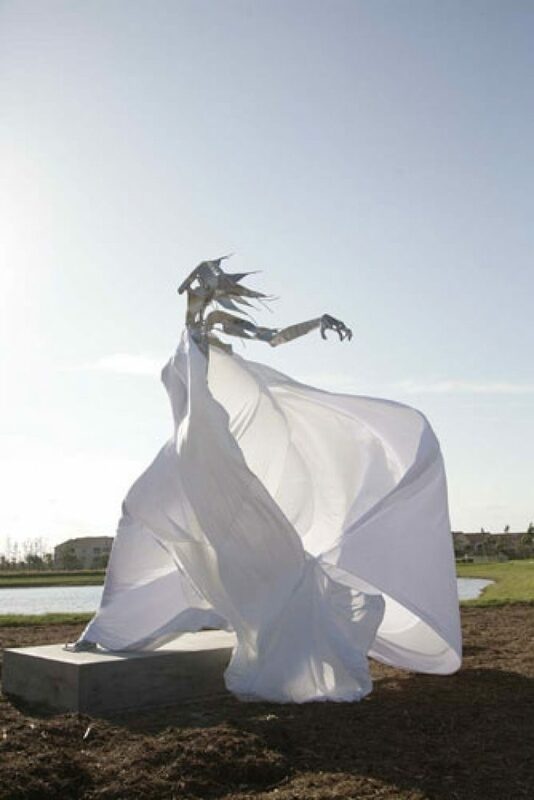 The use of galvanizing will ensure this beautiful sculpture can be admired for many years. The entire product was galvanized.